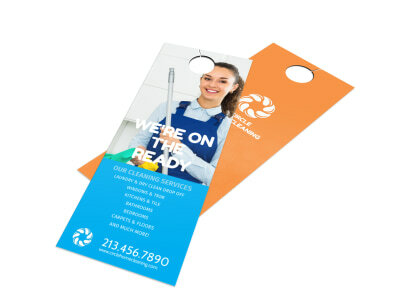 Leave behind a personal touch with every cleaning job or drum up new business with door hangers for your cleaning business. 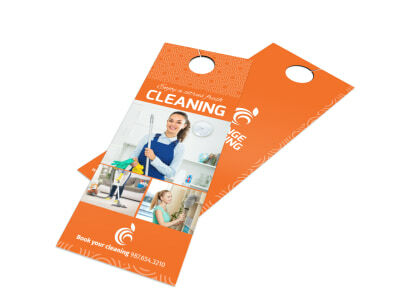 Our cleaning door hanger templates make designing a custom door hanger a fast and simple process. 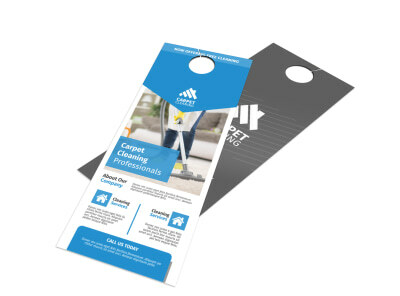 Choose a template you love, use our online editor to add personalized touches to the design, and then print your cleaning door hangers from anywhere, including right from your own printer. 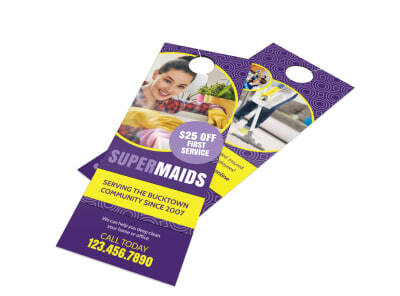 We also offer custom printing of your finished design using CMYK printing processes for impressive and professional-looking results. 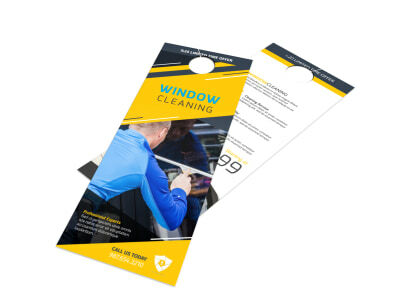 Let area homeowners and business owners know that your window washing skills are on point with window cleaning door hangers delivered en masse. 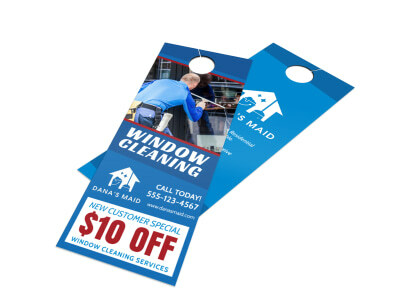 Window cleaning is a specialized skill that requires specific expertise and equipment that not all cleaning crews offer. 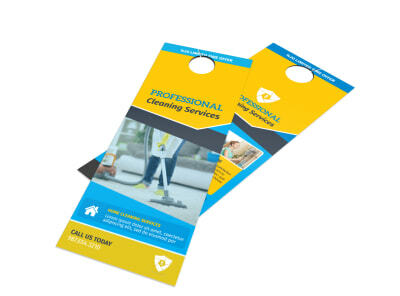 Door hangers touting your industry experience help to position your window cleaning business as the professional service it truly is—so potential clients can feel confident that when they hire you, they hire the best. 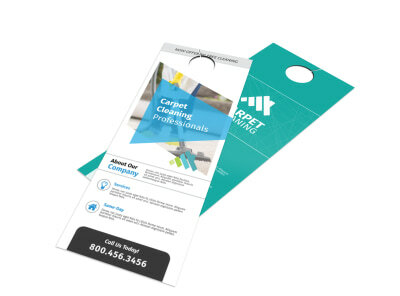 And because prospective customers can’t miss your marketing materials when they’re placed on their doorknobs, you can be assured your message hits home with a wider audience when compared to other types of campaign printables. 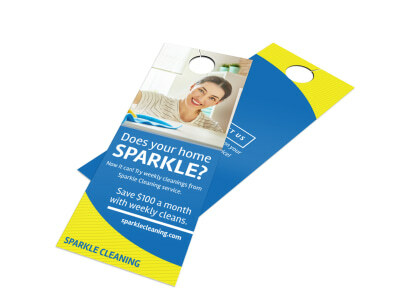 Find out how to customize your window cleaning door hangers now! 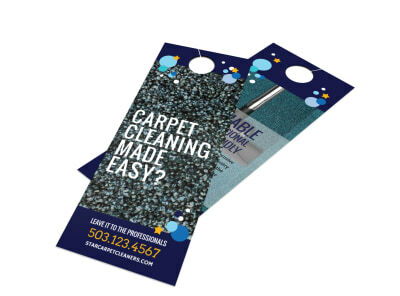 Steam your way to success with customized carpet cleaning door hangers left on every residential and commercial door in the neighborhood. 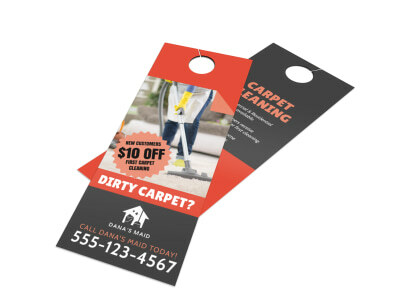 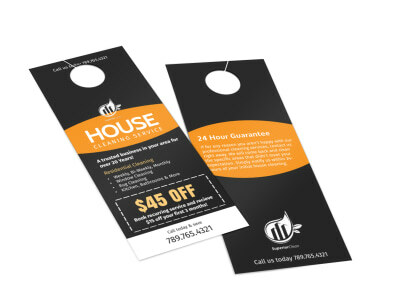 A door hanger campaign is an excellent way to draw attention to a monthly carpet cleaning special, new customer promo, spring cleaning deal, or other promotion to ensure the biggest turnaround on your marketing efforts. 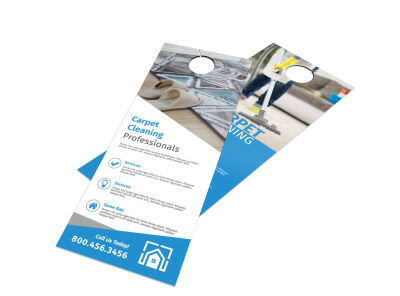 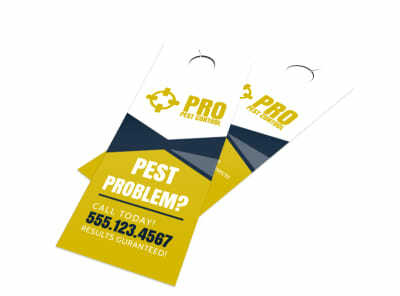 Door hangers are impossible to ignore, and with custom text, images, and graphics, you can bring your message to life in minutes and be out canvassing the neighborhood and leaving your custom door hangers behind as your "calling card" in no time flat. 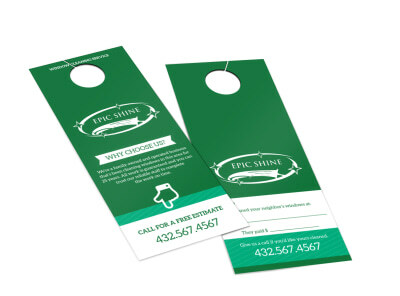 Choose your favorite template and get started working on your design today! 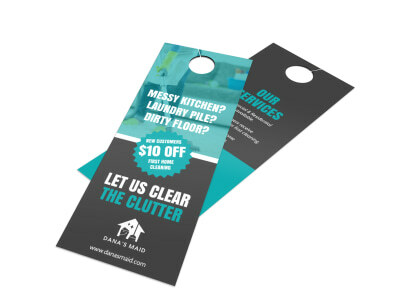 Let homeowners know you’ll leave no dust bunny unturned with house cleaning door hangers customized with your personal message. 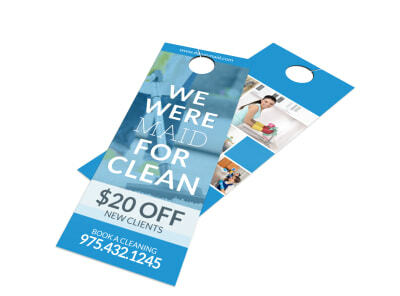 Cleaning is your forte; you’re handy with a vacuum and you know your way around a feather duster like nobody’s business. 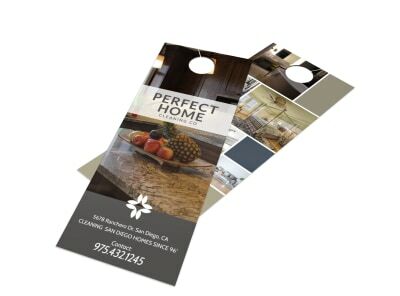 Showcase your service offerings, rates, availability, and other important information on door hangers that draw immediate attention when a targeted homeowner arrives home for the day. 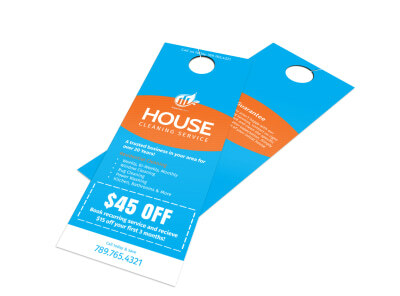 Offer up an introductory special, dollars-off deal, or other promotion to get your foot in the door (literally), so your schedule stays booked and your business grows stronger. 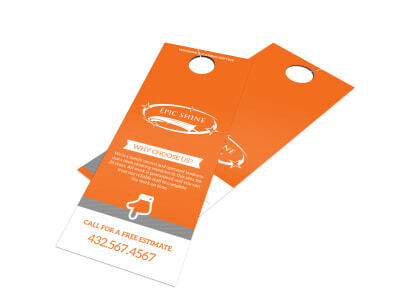 Design an attention-commanding door hanger in minutes now! 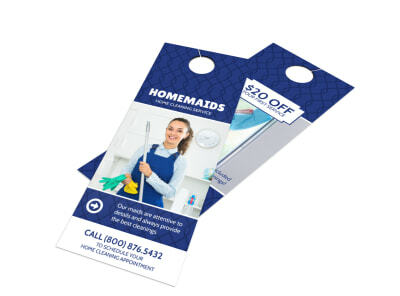 Clean up the competition by advertising your maid service with cleaning door hangers distributed in your target market. 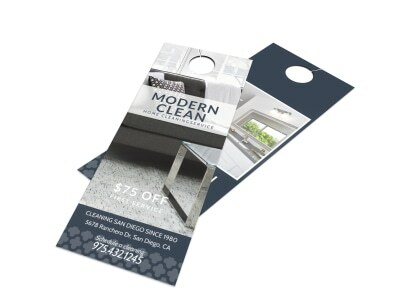 Cleaning may not be glamorous, but someone’s got to do it. 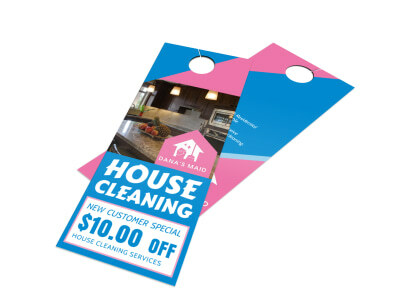 Convince homeowners in your area that you’ve got the team for the job with a door hanger message detailing the services you offer, your rates, an offer for free estimates, and other pertinent info to get them excited about hiring you for their daily, weekly, or bi-weekly cleaning needs. 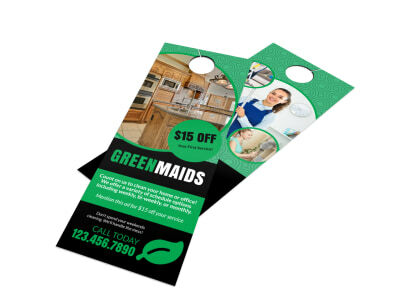 Greet homeowners arriving home with an offer of maid service to draw immediate attention to a special promotion or get-to-know-us deal. 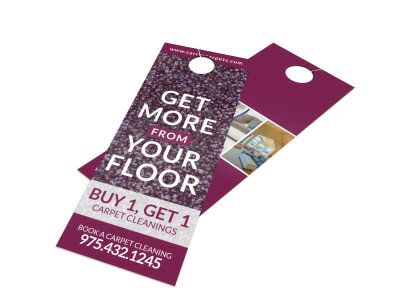 Drop that feather duster and design an eye-grabbing door hanger today!